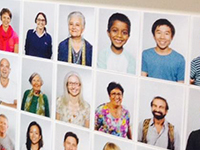 Celebrating the people, history, people and culture of the local area, Randwick City Library hosts a number of interesting exhibitions for people of all ages. The Lionel Bowen Library boasts a dedicated exhibition and gallery space. 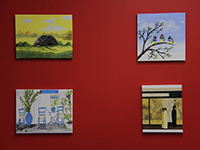 In our gallery space we regularly hold exhibitions on local history, world travel, HSC artwork by local students and many more. Here you can experience and learn about these exhibitions and view pictures from our opening nights. 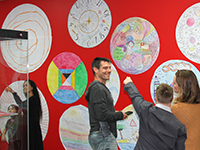 This Create Art Class Exhibition is the second Create Art Exhibition to be held in the library and highlights some of the works completed by the students over the last couple of years. 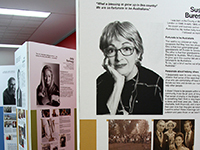 Inspired by the book ‘Stories from the Street’ this exhibition features extracts of the wonderful collection of short stories written by participants of Randwick City Library’s Writing for Pleasure program. 'MADE' was a 8 week program, which focused on expressing yourself through drawing. It didn’t focus on the end results but on the process of making itself and how we relate to making as an expression of reality. 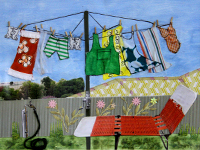 Randwick City Council's International Women's Day Art Prize and Exhibition provides a platform for women who live, go to school or work in Randwick City to showcase their achievements and creativity. 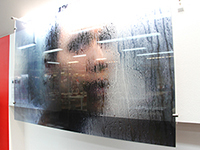 Silent Tears is a multi-media exhibition by artists with disability. It reveals the lived-experience of women with disability who are subjected to violence and women who acquired disability as a result of violence. 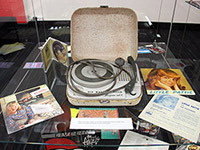 This exhibition explores the musical history connections between Randwick City and some iconic performers and venues on the Australian music scene. Explore a fascinating art exhibition that features a collection of images from scientists and clinicians across the globe who are working hard to understand the complexity of Parkinson’s disease in order to find better treatments. 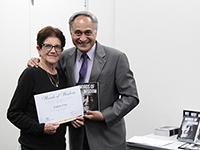 WoW celebrates the knowledge, experience and life stories of older people living in the local community. A selection of thirty stories is presented in this exhibition and the book is available for purchase at the library. 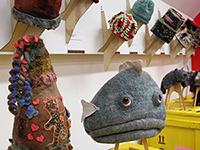 Dive head first into the world of colourful, unique beanies at Colours of the Country III, the third touring exhibition of the Alice Springs Beanie Festival on loan from Artback NT. 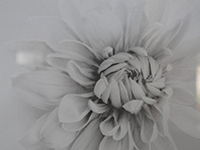 Under the guidance of art teacher Lily Oen, students have produced an incredible range of work. 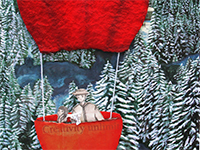 Discover the talents of the Create! 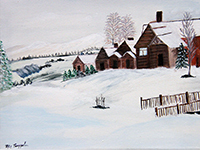 Art Class who meet at Lionel Bowen Library each Tuesday. 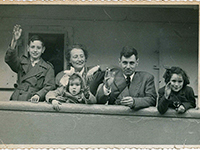 Eat, Pray, Naches is an award winning project that celebrates the eastern beaches’ Jewish community by preserving and sharing the stories of its post-war immigrants. 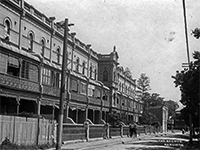 This exhibition explores the Victorian architecture of our beautiful suburb Randwick. Delve into the personalities who lived in these houses and explore what life would have been like for them. 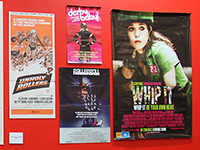 Just Guts showcases the amazing players of Australian Roller Derby and its effect on pop culture. In celebration of Randwick City’s pride in our community, photographs of local residents, workers and students will be on display at Bowen Library from 12 October to 20 November. In support of the creativity of Randwick’s local youth, Creative was conceived to showcase the talents of local HSC students across a variety of subjects and media. This biennial project has been successful in providing an avenue for residents from culturally and linguistically diverse backgrounds to share their stories with a wider audience. In support of the creativity of Randwick’s local youth, Creative was conceived to showcase the talents of local HSC students across a variety of subjects and media. This was the second Creative exhibition. 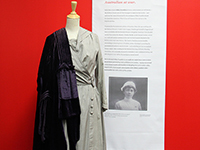 Depicted are the stories of 17 Australian and New Zealand Women of the First World War (including Miles Franklin), and each uniform and costume tells the story of a woman and her experience of the war. 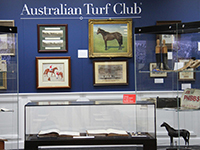 From trophies, to sashes, to artwork, photographs and archives the Australian Turf Club holds the history of Thoroughbred horse racing in Australia in its vast collection. 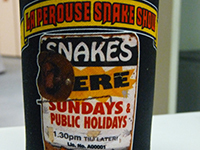 This exhibition showcased handmade artists’ books and a part of the zine collection from Manly Library. This collection featured books with tactile qualities, texts that need to be examined and inspected closely. 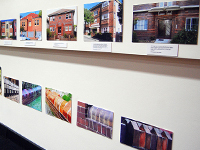 Launched during History Week by then Mayor of Randwick City, Cr Tony Bowen, this exhibition showcased the art deco architecture of our neighbourhood. The exhibition included works of students from Tom Bass Sculpture School and also Tom Bass himself and was very well received by library patrons who had a chance to vote for their favourite piece. 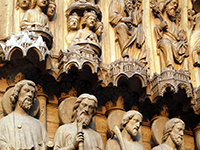 An exhibition of travel photography capturing the historical, cultural and natural beautiful of France as well as a few portraits. 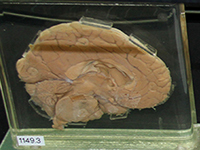 The exhibition also included various objects and memorabilia from France. 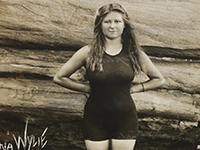 The true story of Randwick’s own Olympian, Mina Wylie, and her quest for Olympic glory over 100 years ago. 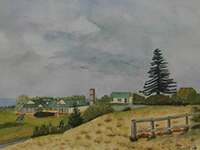 The exhibition was launched by the then Mayor of Randwick, Cr Scott Nash, and Lisa Forrest OAM on 21 April 2012 as part of our National Trust Heritage Festival Celebrations. Randwick City Library and Randwick and District Historical Society joined forces to showcase the rich collection of illuminated materials honouring our past leaders. 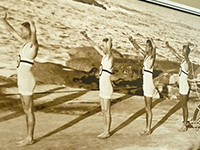 John Cann’s private collection covered not only the early years of the snake shows at La Perouse but also memorabilia from his Olympic career as a decathlete at the 1956 Melbourne Olympic Games. 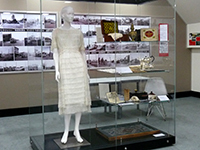 From the Attic was a quintessential collection of historical objects from the Community of Randwick. 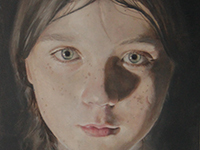 The exhibition was launched by the Mayor of Randwick for 2009, Cr Bruce Notley-Smith to great acclaim. The exhibition was one of the signature events of the sesqui-centenary celebrations.